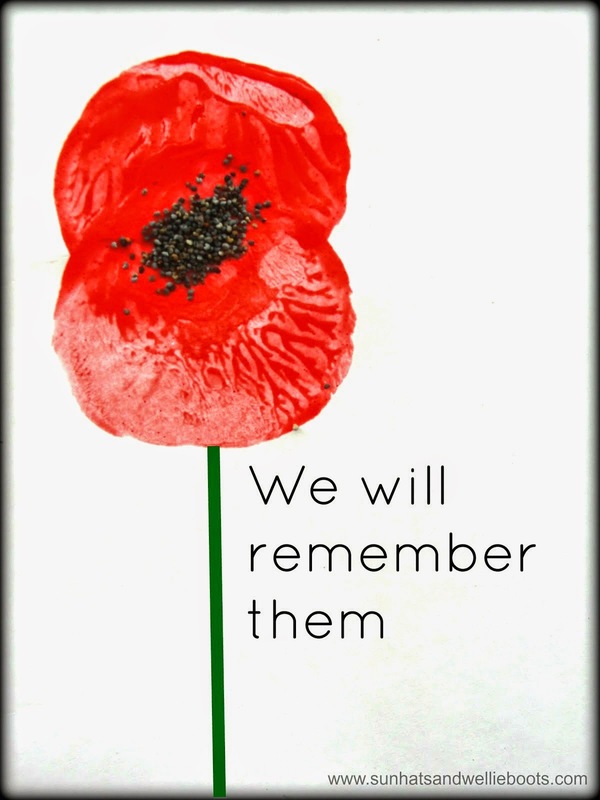 Looking for a craft to mark Remembrance Day? 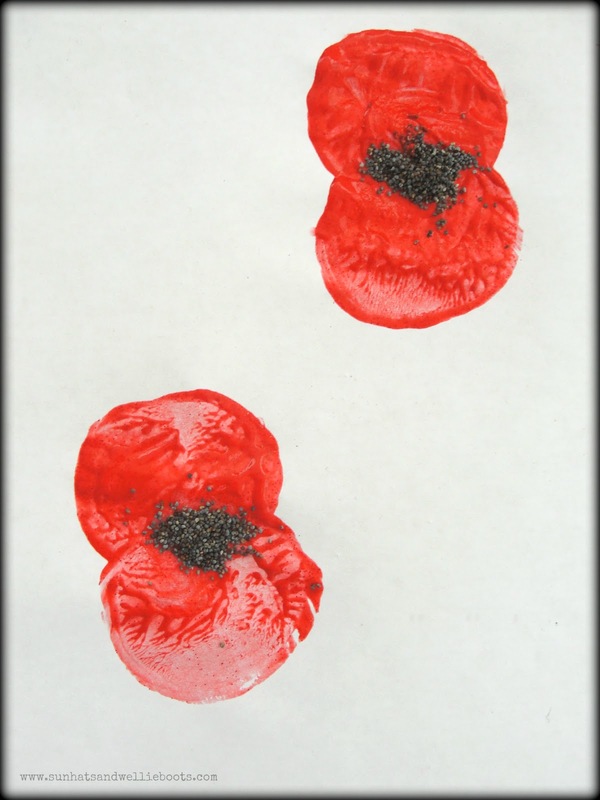 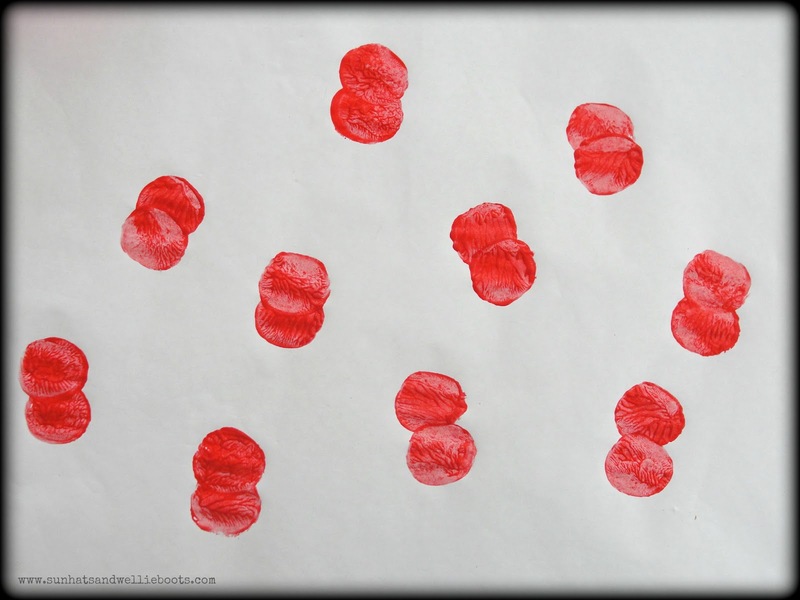 How about these Poppy Prints made with poppy seeds. 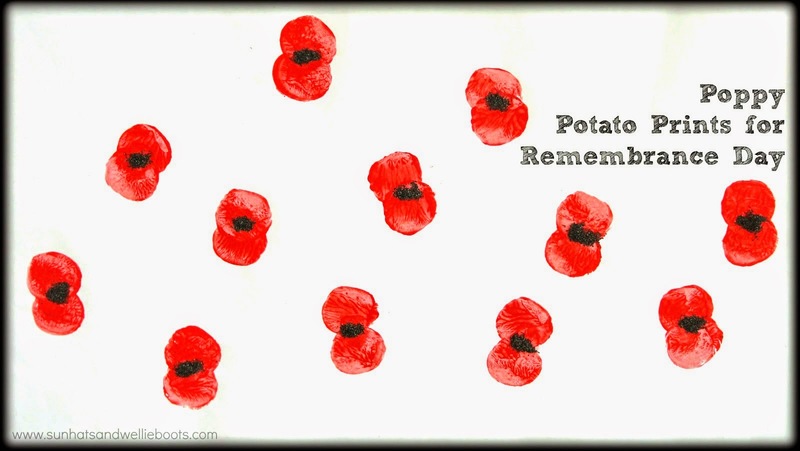 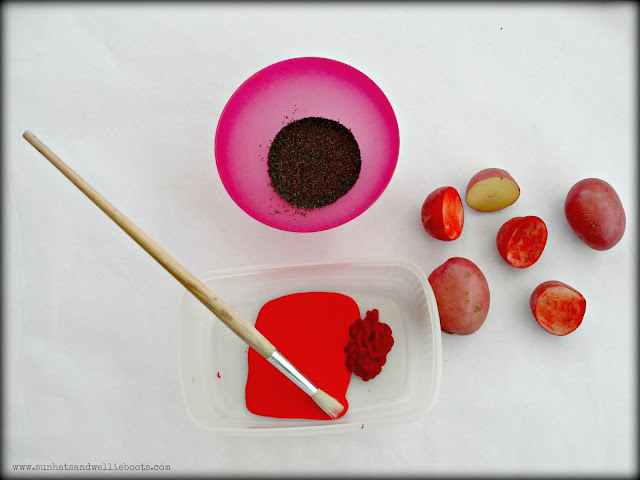 Once the potato prints are dry, add a blob of glue to the centre & sprinkle over a pinch of poppy seeds (we picked ours up for just 69p from the supermarket). We've displayed our poppy prints by our glass door ready for this Remembrance weekend. 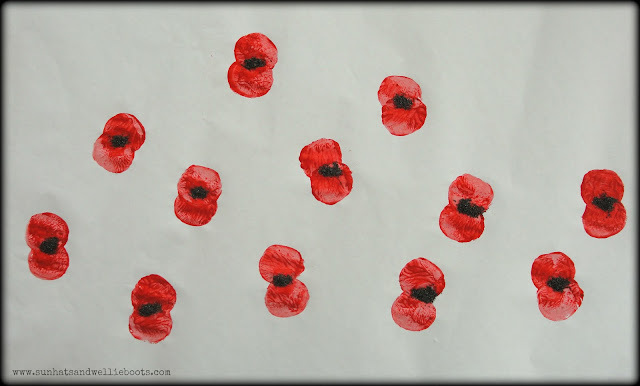 A small, simple reminder of those who have done so much for our country, & those who continue to do so today.